All SUBWAY® Sandwich Platters are prepared on a variety of freshly baked gourmet breads, with your choice of cold cuts – Ham, savory Turkey, Oven Roasted Chicken Breast, Roast Beef – as well as classic Tuna, and Veggie Delite®. 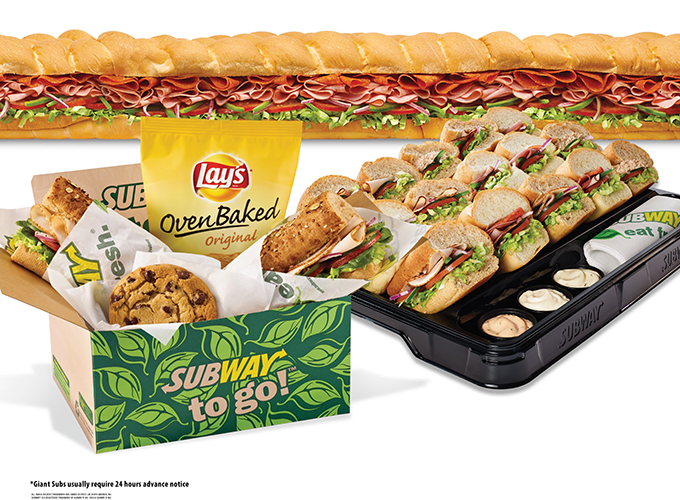 Yes, your Cold Cut Combo and Italian B.M.T.® favorites are also available. PRINTABLE MENU READY TO ORDER?